In honor of the Super Bowl, this year I tried a new recipe. The best thing about this recipe is that it takes very little effort and is super easy! Folks who think they can’t cook can EASILY make this. It takes some time but you can practically be in bed sleeping and end up with a delicious meal! The night before, season chicken using black pepper, onion powder, garlic powder and paprika. You won’t need salt because later on when you add the buffalo sauce, you will have plenty of salt. The next day, start the process by allowing at least 5-6 hours for the chicken to cook in a crockpot before you need them. 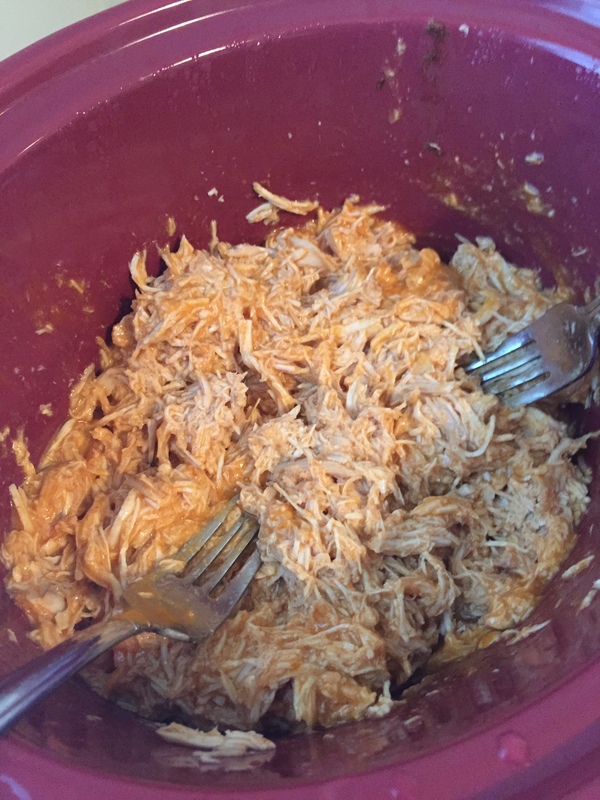 Place chicken breasts in the crock-pot on low and add roughly 8 oz of the store bought buffalo sauce. Let simmer for about 5 hours. I can’t tell you enough how much I love crock-pots! At the end of 5 hours, the chicken should be perfectly cooked, moist, and ready to pull apart. However, before pulling apart, scoop out about two thirds of the sauce and let sit aside. Let the chicken and remaining sauce cool for about 30 minutes. 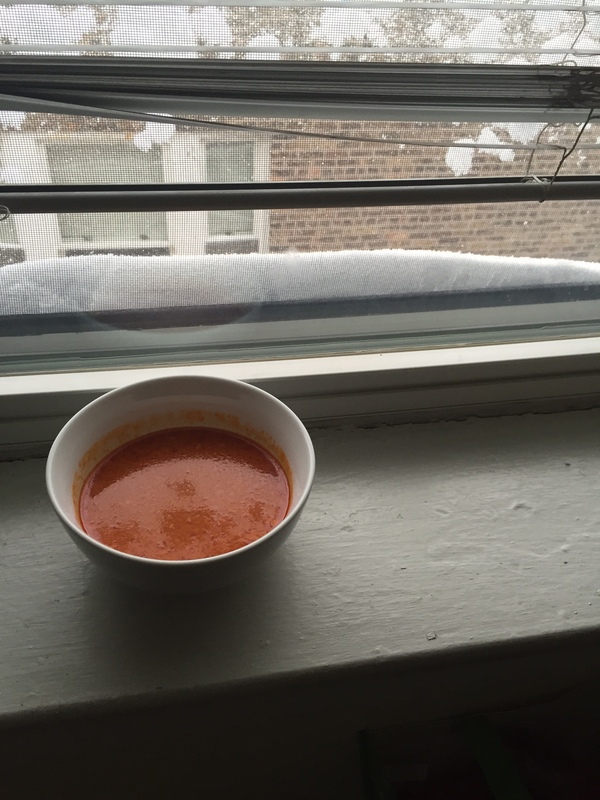 It’s not 100% necessary but it does allow for the sauce to thicken a bit without adding flour or other thickeners. While the chicken is cooling, in a pan melt the butter. Add and saute the cabbage (you might need to add a cup at a time so that it gets fully tossed in the butter). Add black pepper and the crumbled blue cheese and toss a couple more times. The whole process of sauteing the cabbage and cheese should take no more than 8-10 minutes as you still want it to be nice and crispy. Once it has cooled down, place in the fridge. Now, back to the chicken! Grab two forks and begin to pull the chicken apart. I love this part the most because you get to see how tender and amazing the chicken is. Once it’s fully pulled apart, add the sauce that you took out back into the crock-pot and mix together. Add the remaining 4 oz of sauce or whatever amount you think is necessary. The chicken should still be nice and hot but if necessary, turn back on the crock-pot for a little bit more time. 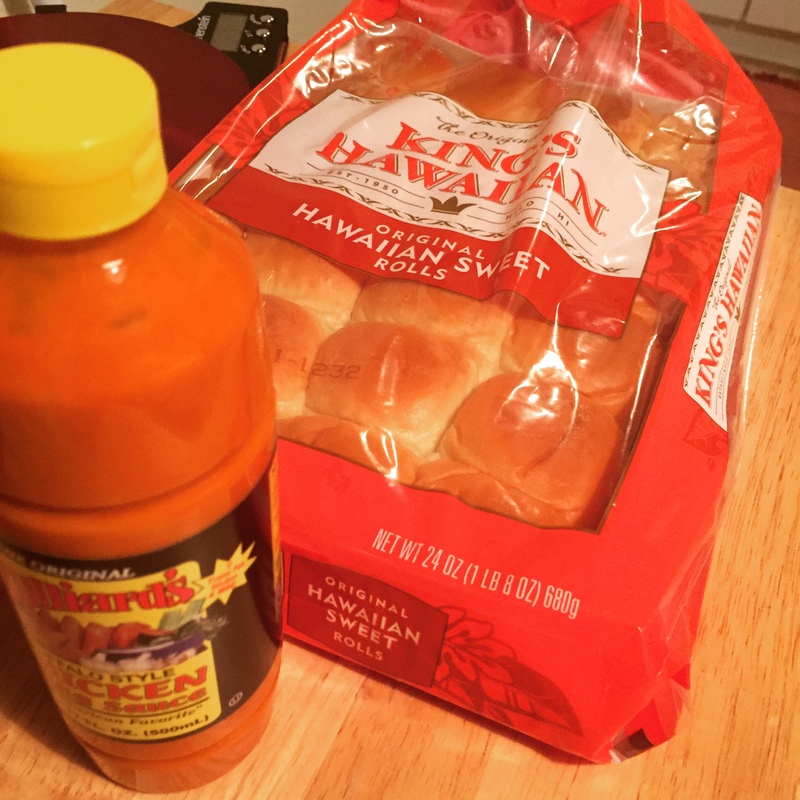 Once you’re ready to EAT, toast the King Hawaiian buns in the oven so that they’re nice, crispy, and warm. 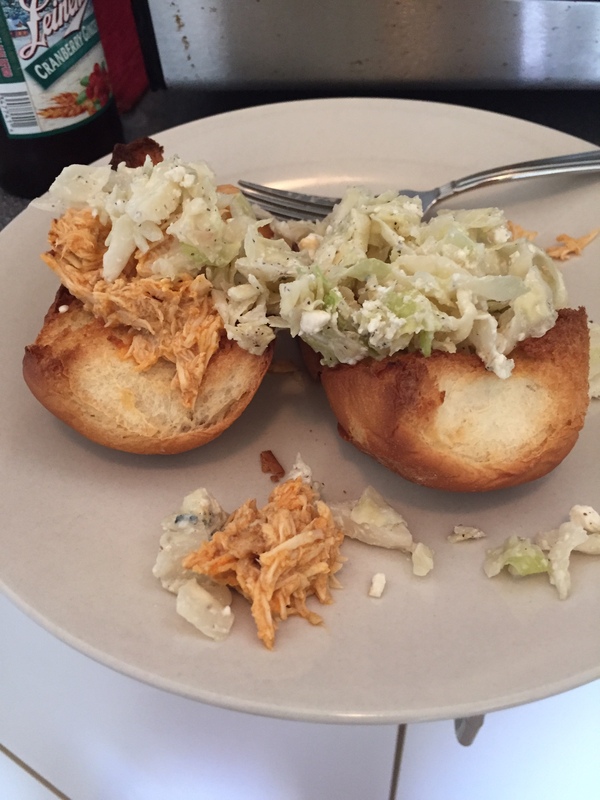 Once heated, add shredded buffalo chicken. Take the cabbage mixture out of the fridge and add on top. Done and done! ← Zoodles in an almond and red pepper “alfredo sauce”!